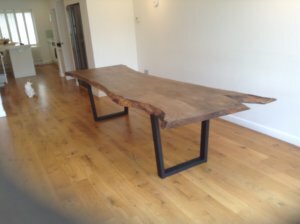 We use slabs cut from a variety of different trees for our tree wood dining tables. Using our years of knowledge and expertise, we personally select all our timber used in our workshop. We never leave this process to a third party and take a huge amount of pride in this matter. We select our tree wood in boards called through and through boards. 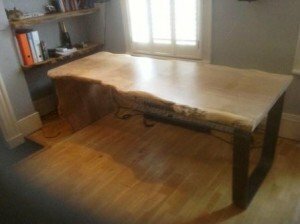 These are air and kiln dried and then hand made into unique tree wood dining tables. Tables that will form a wonderful centrepiece to your dining room. We use only responsibly sourced English hardwood that either comes from managed woodlands, from trees that have come to the end of their life span, or from trees that have been felled due to land clearance. 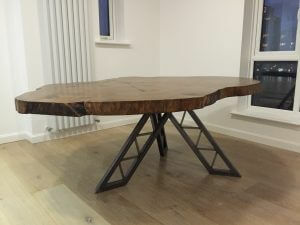 If you have been looking for a dining table for a while, look no further. 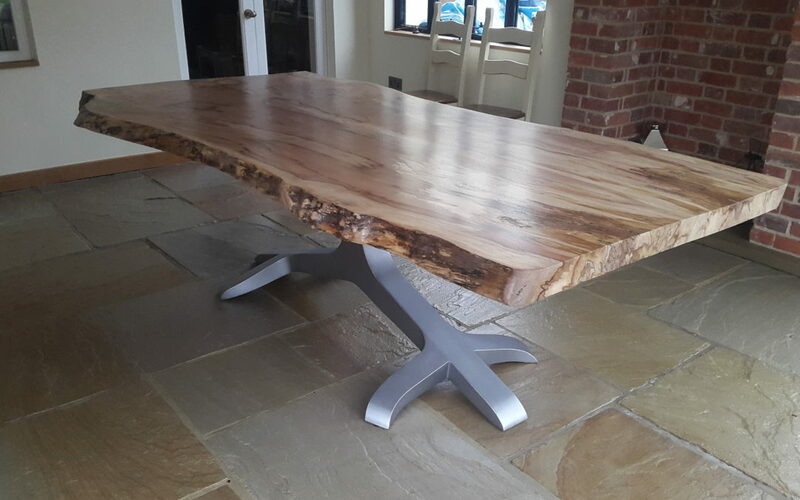 Give us a call and order your one-of-a-kind tree wood dining table.